An evening of 5 minute talks that educate and inspire followed by a kickin’ after party. 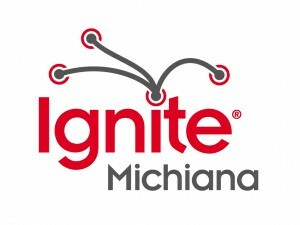 Ignite Michiana is a high-energy evening of five minute presentations by people who have an idea – and the guts – to get onstage and share it with fellow creative folks. Each presentation is composed of 20 slides that automatically advance every 15 seconds. The talks are guaranteed to surprise and delight!